Some of the articles I read on-line about the things parents do or the things they get in trouble for doing just irritate me because people get so bent out of shape about things that we used to never give a thought about. It makes me wonder sometimes how people of my age and older ever survived childhood, given the way society judges parents today. When did our world become so unsafe that we have to regulate everything when it comes to our children? Parenting has changed over the last thirty to forty years and though I will admit some things have changed for the better, I have to wonder about some of the others. I was raised in the late 1960’s and the 1970’s. 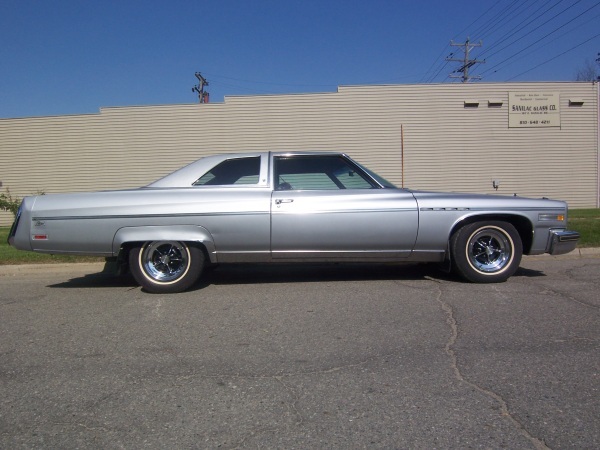 My parents drove Buick automobiles, BIG Buick coupes with no seatbelts in them until about 1974. Six kids could ride comfortably in them and you could even stand up in the back seat while it was barreling down the highway and hang over the front or ride in the front seat itself if you wanted to. The airbag existed but it was an experimental product and I never knew anybody that had one. People smoked everywhere, in cars, offices, their homes…even in airplanes. I remember Dad and Mom taking us to California when I was thirteen and well over half of the plane was a smoking section (like you could really separate the non-smokers from the smoke in a pressure sealed airplane). My toys had small parts and were painted with lead based paint. We played on swing sets that you could fly twenty feet through the air and we rode bicycles in bare feet without helmets. Electrical outlets were in plain view and uncovered. Somehow all of us, my brother, our friends and I survived and our parents were praised for having successfully raised kids. Parents have changed in many ways though. My mother cooked our meals 95% of the time. A Swanson TV dinner was a special occasion meal, or at least special to my brother and I because we rarely ever got to eat one. Those were my mother’s “emergency meals”, only there for when some emergency came up that she had to be somewhere in the evening so that we could have a balanced supper. Our oven was rarely cool more than a single day at a time. There were microwaves and we had one but it was a joke compared to today and it was only for heating up leftovers. Meals consisted of a meat, two or three vegetables, maybe a desert (but not every time) and iced tea, milk or water. Eating out was a special occasion too, something we normally only did one night a week, on Friday, when we piled into the Buick Electra 225 Limited Landau (my family has been aguing for 35 years over just what that Buick was called so I included all the nomenclature) and headed to Macon. We’d run by Wesleyan College and pick up my cousin from Alabama who spent four years at college there and liked to go home with us on the weekends. Once Kathy was on board, we would go to our favorite family restaurant, Shakeys Pizza Parlor for dinner. 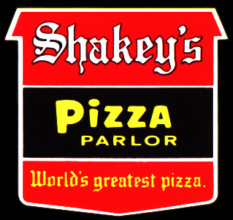 To this day, there has never been a better pizza in my humble opinion than Shakeys made and I would give just about anything for a hot, hand-tossed, brick-oven Shakeys pepperoni pizza. They had a cool player piano that frequently came on and played a few tunes and everyone would sing along to the words projected on to a screen-group karaoke in its infancy if you like. If the piano played Dixie, everyone stopped eating and stood up and sang. My father would always let me have a sip of cold draft beer-I mean a sip too-and I didn’t turn into a criminal or a juvenile delenquent. If I did that today, I would go to jail. You could watch them make the pizza too, through big glass windows and it wasn’t no Pizza Hut either. They spun the dough and took care making the pizza and then shoved it into the big ovens to cook. There was nothing better. If we wanted Chinese food, we went to Atlanta. For a swanky family meal out, we had Steak and Ale or the Green Jacket. We didn’t go out to eat six days a week and we didn’t complain when we did because it was a treat. The nearest McDonald’s was 20 miles away in Griffin and a Happy Meal was Mom’s homemade lasagna. My parents encouraged us to play outdoors, many times until after dark. This was back in the days before the ozone layer was damaged and before the sun caused skin cancer. Neighborhood Watch had nothing to do with prevention of criminal activity on our block-it meant that every parent in the neighborhood was watching out for all of us and if we got out of line, they all had equal punishment rights. We played with reckless abandon and we felt safe doing it. We were usually indoors only when it was raining or very cold; otherwise we were expected to be outside. They weren’t afraid to discipline us or that they would look bad in the eyes of other parents. They weren’t afraid of telling us we were out of line and punishing us accordingly. Today, if you discipline your children, you run the risk of being deemed as a bad parent or in some scenarios, you can have them taken from you. Some need to be disciplined. Today we have given our children a lot more control over us than we ever had over our parents. Their authority was absolute, at least during the first fifteen years or so. We knew the value of money too. Probably not that well, but definitely better than now. I was happy when I had enough money to buy myself a cassette. We hunted for coke bottles to exchange for dimes when we wanted some candy. We had some toys, a few favorites, and we played with them until they basically wore out. We didn’t have Nintendo DS’s with fifteen games, an iPod, a cell phone, a laptop, and DVDs to keep us entertained. What do you suppose that would cost in allowance? At my allowance rate, a long, long time. My parents didn’t just dole out money and it wasn’t that they couldn’t afford to-they just weren’t brought up that way and they didn’t see any reason to change that. Of course, there were special occasions like the fair each year and other treats but they weren’t every day and often not every week either. We learned to appreciate the special treat when it came our way. They allowed us to make and choose friends. Mind you, if the friends we chose turned out to be the wrong kind of friends, we would hear about it but for the most part, they let us make our own decisions about our friends. If I didn’t like what another kid was about, I wouldn’t play with him. My parents were pretty good judges of character though and my father never met anyone he thought was a lost cause. Friendships weren’t contrived by way of play dates. We went outside, just like other kids and we made friends organically. They didn’t let us watch a lot of television either. We watched quality television, which I have discovered IS still available if you can sort through the 500 channels to find it. It was a lot easier to find when you had 2, 5, 11 and 13 to channel surf though. On Wednesday night we watched Little House and on Thursday night, The Waltons, which is still one of the best shows on TV. Reruns of The Brady Bunch, Andy Griffith, the Beverly Hillbillies and Bewitched provided comedy while still promoting wholesome family values. Kids never talked back to their parents either. I’ll take that over Sponge Bob any day. They threw us real birthday parties with cakes and party hats. I don’t remember ever attending a birthday party of the magnitude that I see today. I remember the occasional pizza party at Shakey’s and a skating party now and then at Joel’s Roller Rink but not the kind of parties kids have today. You can drop $300-$400 for a party now at the drop of a hat BEFORE presents. When my friends and I were growing up, we were happy if our party had balloons. Our parents weren’t concerned about impressing each other; they were concerned about celebrating our birthday, and for us, that meant family, friends, cake, a few bags of chips, soda, and ice cream. Ok, in my case, we sometimes had barbecue but we had an inside connection there. We got presents, for sure but nothing like what kids get nowadays. We got puzzles, Mr. 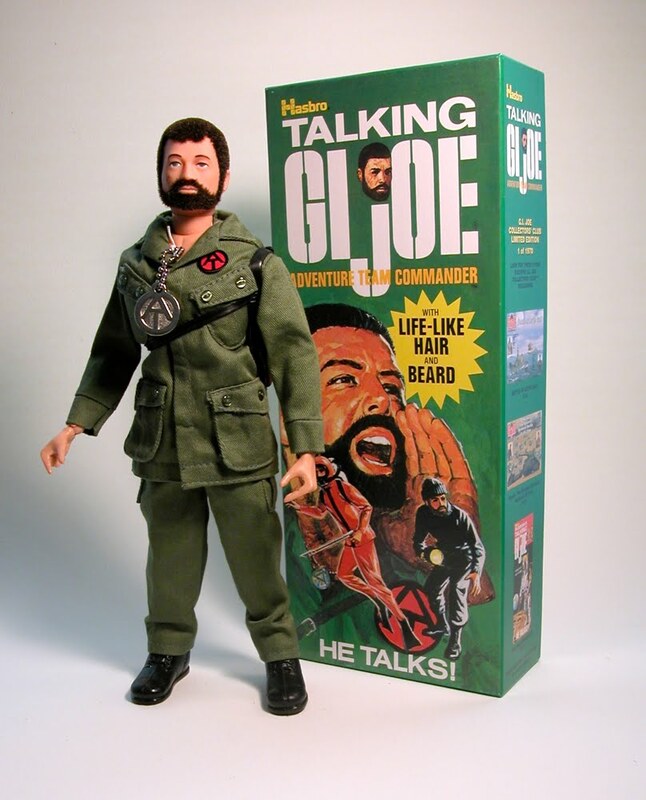 Potato Head, GI Joe (remember the realistic hair and beard?) and maybe a cool Etch-A-Sketch. Sometimes I am shocked at the amount of loot the kids get today. Ungrateful was an alien concept to us and if we ever got that way, our parents were good at reminding us of all we had to be grateful for. Today, parents seem to have to try harder and harder to earn their kids affection. A roof over their head, three squares a day, a reasonable amount of toys and books to read just don’t cut it anymore. Maybe I see this more from the perspective of being a middle-aged parent with a small child. I’m at least one generation removed from most of the parents with children his age and a number of people my age already have grandchildren. If we spoil our kids too much, what do we leave for their grandparents to do? Things have come a long way since my childhood. Things are better, safer, less labor-intensive, and more convenient but have those things made us better people? I’m moving ahead into the future with my son and I am looking forward to navigating those roads and growing as a parent. When it’s all over and done with though, I still wouldn’t trade the genuine, raw, and meaningful upbringing I experienced. Not for all the Shakeys Pizza in the world. WordPress just reminded me that this was my 75th article since I began writing here! Can’t believe I made it this far! We had a Shakeys near our home in northern Indiana, too. It was where we all went to hang out after a high-school football game. I miss the pizza, too. And I had a GI Joe. So did my brother, but he got his the year after I got mine and his had the new Kung-Fu Grip. I was insanely jealous. Ha, the GI Joe with the Kung-Fu grip was the end-all GI Joe. One toy with multiple accessories could equal hundreds of hours of fun play. Today an iPad might hold the attention an hour before its time to move on to the next thing! Thanks for reading! We’re from the same generation and it would appear have kids around the same age. I’m dumbstruck at how different things are in regard to parenting. For example, if my mother had tried to put on a $500 birthday party for me, my father would have likely filed for divorce then and there. They both knew, as you understnad, that birthday parties are for the kid, not to impress the other parents. Excellent post. Thanks for your comments! Life was a lot less complicated back then even if my son doesn’t see it that way! I enjoy reading your blog on my blackberry news feeds-you always come up with some interesting things I didn’t know about! Thanks again! Thanks for reading! Sounds like your Shakey’s was very much like mine! I’m late to the party here, but I enjoyed your flashback. It’s nearly a carbon copy of my recollections of youth. We had a Shakey’s a mile away from my house. I vividly remember the pizza window, the pepperoni pizza and how hot the cheese was and how thin the crust was ( with some cornmeal stuck to it too). My Shakey’s had the first video games I can remember, circa 1982 – Stargate and Tron, both of which I stunk at. The long dark brown tables, cafeteria style. I too, had GI Joe, along with his yellow one-man helicopter. Mom got rid of it at some point in my teenage years. Dang it, Mom ! Sounds like you have many of the same memories. It was a much better and much simpler time back then and when I wish I could return to now and then. Thanks for reading!